Chet was extremely professional - very knowledgeable, full of energy and had great context to share with us about his country history and background. Along the way, we spoke a lot about the culture, the current state of Cambodia and in general, about life in Cambodia. With Chet as our guide, we had a lot of flexibility to customize our tour. The car was comfortable (though too huge for just 2 of us + Chet and the driver). We were offered bottles of water and wet wipes and umbrellas. I looked up Angkor Wat Services online, on the morning of our flight to Siem Reap. Sent an email to arrange for a one day tour of Angkor Wat and received a reply from Chet quickly. He was very professional in his email and had no problem arranging a tour for us on short notice. The next day at 5am, Chet came to our hotel to pick us up in an air-con van with the driver. He took us to see the sunrise at Angkor Wat and told us very enthusiastically all about the historical background, significance and myths of the famous temple ruins. Chet was such an experienced, passionate and knowledgeable guide - he knew all the best spots to take pictures, and also the lesser known paths to explore the temple. It was such a pleasure having Chet to show us around and he really made our visit unforgettable. Chet took us to have breakfast and lunch, and we had cold bottles of water every time we got into the van to travel to another temple.Even during lunch Chet kept entertaining us with stories about Cambodia's interesting culture, history and way of life. He was very warm, kind and shared personal stories about his life, and we felt as though we got to the real Cambodia through Chet. I am so glad that we had Chet for our tour guide to Angkor Wat. If you ever visit Siem Reap, do look him up, he will take care of you and show you the best of Siem Reap. Angkor Wat Services is excellent! After reviewing trip advisor we booked a last minute 2 day tour of the temples and floating village with Angkor Wat Services . They were a little more expensive then others but they were worth every cent. Chet tailored a 2 day tour to our needs and wants. Chet gave us great insight into Cambodian culture and day to day life. He has a deep love and pride in his country and this really came through . Chet was so knowledgeable and experienced in guiding us around the temples. He knew when the big tour buses full of tourists would arrive and the route their tours would take. He used this experience to ensure that we never crossed paths with them or had to struggle to get that perfect photo, it was like we had the temples to ourselves. He explained the history and stories behind the stone carvings and we were just amazed . Chet's photography skills are awesome and he knows all the perfect spots . My partner and I will be hopefully returning to Cambodia next year and will definitely be giving Chet a call . Thank you Chet and Angkor Wat Services if I could give six stars I would . I booked on-line with Chet and our tour guide, Haw, picked us up at the hotel and took care of everything. The driver kept us loaded with ice-cold water and he did the rest...we had such a laugh, it was brilliant...he took us to places that we never thought of seeing..we are going back next year and will be dropping Chet a line soon...check them out, they're a great bunch of people, with a great deal of knowledge and personal experience to share. We had an amazing 2 day private tour with guide Samath and driver Vanny. Samath was very knowledgeable and had a great sense of humour. The temple complex was the highlight of our trip and it wouldn't have nearly have been as good if we hadn't had a tour with Angkor Wat services. We specifically asked to visit some of the more remote and quieter temples and are really pleased we did. Our favourite was Bayon. Samath steered clear of the main tourist routes which made a real difference to the whole experience. We were recommended by friends and we wouldn't hesitate to recommend ourselves. Request Samath as he's the best, especially at taking photos. He took some of the best for us of our entire trip!! Thank you! Excellent service provided. Tour Guide is knowledgeable and friendly, he is keen to share and explained in details of the historical events of the places we visited such as Kulen mountain and Angkor Wat. He would point to us the scenic spots to take photographs and helped us to take group photos. If u only have 1 day to visit Anghor Wat and surrounding area then choose this company. Pick up punctual. Vehicle immaculate. Knowledge exceptional. Time to take it all in. U set the pace. Magical visit . not too much just perfect. Lunch arranged by tour operator without comment. Satisfied that I have seen most of what I came to see. We booked a 2 day tour with our tour guide, Chet and we had nothing short of an amazing experience. Chet picked us up to and from the hotel and was very thoughtful. On top of being very knowledgeable with Angkor Wat and its history, he took the extra mile and brought us to the local market to soak in the atmosphere and try the local delights. Overall, he was very patient and gave us a very memorable and enjoyable trip. Highly recommended! My husband and I scheduled a 2-day tour with Chet just a few days before our arrival. Over email he was prompt and professional, and made recommendations for our time in Siem Reap. I'm not sure what we can say that hasn't already been said! Chet was a fantastic, knowledgeable, thoughtful guide. The tour itself was well-organized, thorough and professional. Our only required sites were Beng Mealea, Ta Prohm and Angkor Wat, and Chet filled in the blanks for us. We made "unscheduled" stops to check out a local Cambodian market, eat traditional snacks on the roadside, and give candies to the local children. Our tour was 100% customize-able, and Chet's flexibility continued throughout the tour. This made us feel like it was truly "our" tour. We highly recommend Chet's services! We had such a great experience with this service. I planned the tour in advance with John who listened to my requests and built an itinerary based on our preferences (another company I contacted first would not adjust their standard tour). Our guide and driver picked us up at the airport and waited for us to get checked in and ready and then we began a 3 day tour. Our guide's name was Sopheara and he was perfect. He was very polite, spoke clearly and was quite an expert on the history of the local sites. Sopheara was very flexible and allowed us to set the pace - slow when we had questions or wanted to take pictures (and he often helped us take pics) and quicker when we had seen enough. The driver was very courteous, always on time and gave us cold bottled water and cold disposable cloths after each stop. One night we went to dinner and a show and the driver picked us up after the show and brought us to the hotel. Sopheara even helped us with our souvenir shopping, taking us to the market and reputable shops. After 3 days we became good friends with Sopheara and we were sad to say goodbye. We could not have asked for a better guide. Looking for history? Looking for culture? Chet provides a complete and comprehensive tour into Siem Reap and its amazing temple complexes. Chet is a wonderful, kind and compassionate tour guide who will go out of his way to meet your needs. Chet, not only articulates the history of Siem Reap's architecture and culture, but knows every path possible along the temple route. Chet's talents extend into photography so be prepared for some awesome pictures! I was picked up at the airport, escorted to the temple complexes and around Siem Reap in the comfort of an air conditioned vehicle with never ending supply of cold bottled water. Very thankful for that! We didn't have to do a thing! I just emailed Chet and told him what we wanted (one day tour with sunrise and sunset), and he planned everything nicely for us! He replies quickly notwithstanding my numerous confirmation emails that I sent just to make sure the booking is settled. He also agreed to help us book tickets to the Phare Circus show and was really understanding when we changed our accommodation after booking the tour with him. There was this minivan which was super cooling in the hot sun and had decent suspension so that you won't feel car-sick driving over certain stretches of uneven roads. It could easily fit 7 people (though there were only 3 of us). They also provide water during the tour and I thought it was just one bottle each but no; we were offered bottled water every temple we stopped at! Administration wise, Angkor Wat Services - Private Day Tours is first class. He and the driver came to pick us up at 5am and we managed to see the sunrise over Angkor Wat temple. It was breathtaking and the experience was brought to life by Chet's commentary over the history of the place. He also takes awesome photographs and knows interesting places to compose our photographs. We witnessed his personal conviction about the preserving the temples and safety when he told some tourist not to sit on some parapet. As we wanted to go somewhere to eat after we watched the sunset, he agreed to send us there. Personally I liked that he knew exactly what he was saying about Cambodia and the temples, and that he was clearly very committed in his work. Professionalism is something my friends and I really appreciated from Chet. I recommend this guy and his services. My wife and I really enjoyed our 2 day tour with Angkor Wat Services (AWS). Mr. Chet was excellent at responding to emails and very accommodating to changes we made to the original itinerary plans. Our tour guide for both days was Ms. Saven but she told us to call her "Seven". We were very lucky to have Seven as our tour guide--she is very knowledgeable and personable and a bit of a character too! In addition to providing great info about the temples (and making a quiz show game out of it), she made suggestions of photos to take and plans to avoid the crowds at the attractions and restaurants. Her timing was so good that the two times it rained on us, we were in the car or inside the Landmine Museum (which is an inspiring attraction). Thank you AWS and Lucky Seven! I booked a 1day tour of Angkor Wat through Angkor Wat Services and it was just fantastic. Bunwat my guide for the day was just excellent, he was very knowledgeable about the various temples giving me an excellent insight into the history of them. He also doubled up as a great photographer too! The temples are fantastic and the trip was made even better by having a knowledgeable and friendly tour guide. I would highly recommend Bunwat to show any of my friends around Angkor Wat. The comfort of the AC and chilled water in the car also helps. We booked a one day tour of the Angkor Wat temple and various other ones. Bun Choub was our guide and Thom our driver, they met us at 5am to begin our tour at sunrise. The view itself was beautiful although a lot of other tourists had the same idea and it got quite crowded. Bun was very knowledgeable and kept up a consistent commentary the moment we got into the car. He answered every a question we had about the carvings, history of the temple, architecture and ongoing conservation efforts. He also knew the best ways to go about looking at the temples and planned everything efficiently. They provide water but bring your own towels as it gets very hot as the day goes on. Would recommend it over touring yourself if you're interested in knowing more background information. They are flexible about giving break times for breakfast,lunch and bathroom breaks too. I reached out to John Chet to coordinate our tour to Angkor Wat. He was very quick to respond and customized the perfect itinerary for us based on our wishes and needs. There are a few professional guides in Siem Reap that all refer to each other if they are booked. He was booked but was able to refer us to Kanha Reath and we can't imagine having visited Cambodia without her. In our discussions with her, she said that John is a great guide as well and only works with the best guides. So we have no doubt that he would be an excellent guide and facilitator of tours as well. As far as coordinating the tour and interaction with John, our experience was excellent. Contacted Chet a few months ago after reading previous reviews on TripAdvisor and wasn't disappointed. All priors dealings with Chet via email were answered promptly. Prior to arriving in Siem Reap we had traveled by boat along the Mekong/Tonle Sap rivers, I was concerned about the fishing village we would be visiting on our tour, as we had traveled through Chong Khneas which was very very touristy. Chet replied promptly to my email that the village of Kampong Khleang would not be like the other village - he was correct! Our guide Kanha & driver Khon were excellent. Our first day we traveled to the fishing village of Kampong Khleang, stopping at a roadside stall along the way to try some sticky rice & beans heated in bamboo -yum! Boarded a local sampan for the trip around the villages, seeing the locals collecting their catch of small fish from their nets, selling their fish to the local fish traders - great trip! Back to the car where Khon was waiting with the air-conditioning on and a cool wet towel! Next stop was Beng Melea temple. Kanha was very informative on the history of all the temples we visited and also very patient as my husband was very hesitate going up and down the many steps. Lunch on the way back at a local restaurant was excellent - no dinner that night! Next day we were picked up from our hotel at 5am for our sunrise visit to Angkor Wat. Even though it was lightly raining, Kanha found an excellent spot away from the majority of the crowds. We walked around Angkor Wat exploring the various carvings and sights to see, returning to our hotel around 8.30 for breakfast.Had time for some shopping and a swim before meeting up again at 1.30 for the afternoon. Visited Angkor Thom, Bayon, Ta Prohm and Banteay Srey. Kanha knew the best ways to avoid the crowds and best spot for the many photos. On the way back to Siem Reap we traveled through a very heavy rain storm and the excellent driving of Khon made us feel very safe! Will certainly use Angkor Wat Private tours for our next trip to Siem Reap and will certainly recommend to family and friends when they visit, as they will have wonderful memories of a beautiful country and people just like we have! Thank you Kanha & Khon. The team was very well informed, punctual and polite. They helped use to make the best use of the time in hand. The quality of explanations and the flexibility in the itinerary was a big advantage. It gave us an insight into the land and its people and of course the historical aspects were an experience to treasure. I was med at the airport and taken to my hotel and there started a 2 day wonderful experience of Siem Reap with Mr Chet. The next day we explored several temples around Siem Reap with lunch at a local restaurant. We stopped to watch the local women making sweets out of palm sugar which was interesting. That night I needed a massage so Mr Chet (John to me) took me to a place he knew. The young lady did a marvelous job and reasonably priced. He then dropped me at great new restaurant called Mahob which is local Khmer cuisine ..delicious. The restaurant trains young under privileged people to be able to go out and get a job in hospitality. We really enjoyed our tour of the temples and other places of interest in Siem Reap in Cambodia which was due largely to our tour guide, Vorleak, of Angkor Wat Services who was very professional, punctual, friendly, accommodating and very knowledgeable of the places that we visited. We highly recommend Angkor Wat Services for your tour needs to ensure that your stay in Cambodia will be very enjoyable and worthwhile. We booked Angkor Wat Services based on the reviews that we read here on TripAdvisor, and all the excellent reviews are definitely justified. From the communication of Chet through email as we discussed the details, and to the tour itself and the other activities that we booked with them... everything was top-notch! We booked a two-day Angkor Archaeological Park tour, and within those two days, we learned a lot about the temples, the history, and took tons of great pictures. We also booked our tickets for the Apsara Dance and buffet at Kulen II Restaurant at $9/person which was $1 cheaper than what our hotel offered, and also our tickets for Phare, the Cambodian Circus. For both tickets, Chet did not charge us any additional payments for the transportation even if our guide and driver waited for us until the activities were finished. The next day, we were picked up by our guide Mr. Vorleak (he asked us to call him "Leak" for short), and our driver was Mr. Khom. We were running a bit late and was just finishing our breakfast, but Leak just waited patiently for us to finish about 30 minutes later. When we got inside our private van, he told us about the temples we'd visit and many other things. His English was wonderful and it was easy for us to understand him even with an accent. The manner that he also gave us information was very friendly and not difficult to follow which made all the information easy to absorb. At the temples, his pace for giving information and for walking was just right - not too fast and not too slow. We never felt rushed at all. Also, what I liked about Leak was the way that the itinerary was arranged on which temples to visit, it allowed for us to feel as if we had the temples to ourselves. He arranged it so that there wouldn't be as many people in the temples at the time we were there. This was one of my fears when visiting the temples, that we wouldn't be able to take great pictures because there were a lot of other tourists. But, thankfully, through the expertise of Leak and Angkor Wat Services in arranging the tour, we were able to take great pictures of the temples without any people around. Also, Leak was very sensitive to our needs. On our second day, the sun was scorching hot, and for our lunch, he took us to an air-conditioned restaurant which we truly appreciated since it allowed a break from the heat. Another thing that we appreciated was whenever we arrived at our private van, our driver, Khom, would be ready with bottled water and cold, wet wipes which we used to cool our skin and also wipe away the dust. The water and wet wipes were placed inside a cooler full of ice which kept them cool all day. Another thing we appreciated was even with the heat, Leak did not make any shortcuts to the information that he shared with us. In my experience, other tour guides would cut short the sharing of information just to get out of the heat. But, Leak, even if he was under the hot sun as there was only enough space for our family to get under the shade, would just continue with sharing with us what his extensive knowledge of the temples without showing any sign of discomfort. He even shared with us some information about the Khmer Rouge which was truly enlightening. Leak also showed us other places that we feel other tourists didn't have the opportunity to see. We were able to visit a Buddhist temple near Angkor Wat wherein there were monks chanting and food were being offered and shared by the people (if I remember correctly, it was for Pchum Ben Festival). He also stopped by one of the roadside stalls that were selling palm sugar which we were able to buy to give as gifts for our family and friends back home. Leak also takes great pictures (see one of my pictures where he even sat on his heels to be able to take a great picture of our whole family) and let us know what area we should position ourselves so that we can take a cool photo. I could go on and on about how much our family enjoyed the tour with Leak and Angkor Wat Services. DEFINITELY RECOMMENDED! Also, considering all the temples that we went to and the quality of the service, the price is definitely worth it! In fact, I felt that it was very, very good price for such a wonderful tour! THANK YOU, Leak, Khom, and Chet! If friends ask us for travel tips when going to Siem Reap, we will tell them to book your services! Mr. Chet made our trip in Siem Reap totally incredible. He was very attentive and organized the trip very well. What we needed to do was just relax and enjoy the amazing remains. I will definitely recommend Mr. Chet's service! Leak and our driver were NEVER late, in fact they were always 30 mins ahead of schedule. That does not mean that they hurry us up so they can finish the trip early, they just showed up in our hotel early and waited until we were all ready, we never felt rushed. And yes, Leak knows his stuff. It was a pretty enjoyable trip. Angkor Wat Services gave me a wonderful day of touring the magnificent temples of Siem Reap. John Chet greeted me at 5am and we took off to see the sunrise over Angkor Wat. Sadly, cloud cover hindered the result but John took the time to advise of good spots for photos and took same of me. This set the course for the day. John made sure I saw all the important places, got great photos and provided the most detailed information about every aspect of the temples from the history, the architecture and down to the fine points of the stone carvings. We visited Angkor Thomas, and several other temples. It was a full day, and I mean full and fulfilling in every sense. Johns infectious enthusiasm for this place is wonderful to witness and I could not have wished for a better experience. Booking through Mr Chet, I met Ms Saven for my 2 day tour of Siem Reap. First day included the floating villages, (personally not my thing with the alligator farms) but was still interesting to see life on the lake. I had a 5am start for my Angkor temple tour which included Angor Wat/Thom and Ta Phrom temples. Saven is an avid photographer as she knew all the perfect areas to take photos. She timed our visits very well to avoid the large tour groups as well. Please see the note that we sent to Angkor Wat Services following our visit to Angkor Wat from October 5-8 2014. Even before arriving in Siem Reap I felt that I was in good hands since Chet was always quick and professional in responding all types of question by email. Our tour guide was Sun, very competent, funny and patient. We were traveling with three children and he was adjusting his rhythm to fit ours. Definitely worth booking a guide since you learn so much more about the fascinating history of Cambodia's gods and kings. Angkor Wat services was everything I hoped they would be. Chet was efficient in replying to emails, clear about costs and understanding about my needs as I was holidaying with my 7 year old daughter who by this stage of my holiday had a fairly low tolerance of historical sights. Chet picked us up in an air conditioned minivan with plenty of cold water and cold towels available whenever we wanted and his driver was able to get us really close up to Angkor Wat, which cut down on the walking. He was very understanding of my daughter's needs as she was not well that day and needed plenty of visits to the bathrooms. He gave interesting explanations of what we saw and knew exactly which route to take us. We visited Angkor Wat, Ta Prohm and Beyon before deciding that was enough for one day. Thank you Chet - we would certainly recommend your services to anyone who is looking for a tour guide. Chet was our tour guide in Seim Reap for 3 days. His English is great. He is very knowledgeable about the temples, lifestyle of Cambodian people, and history of Cambodia. He was our private guide for my husband and me. His rates are very reasonable. He is extremely accommodating. If we were driving down the road and I asked a question Chet would stop the car so we could get out and learn more, ex. a lady in a rice field, a Cambodian home, girls making palm tree sap sugar. We wanted to see the Phare circus one night. Chet picked us up at our hotel, drove us there, helped us get out tickets, then picked us up after the show. I would highly recommend Chet as a private guide. Email contact with John was very efficient . Changing program at short time by my side was no problem. I was fortunate to have bunvath as my guide during these two intensive days. I could not wish for more. His English was good and his knowledge is extensive, polite and always on time. I highly recommend this agency and particularly bunvath as a guide. John is reliable gets back to you promptly when you email. I flew in the morning and was met by Rany our guide. We did a one day tour and was dropped off at the airport to catch plane back to phnom penh. Everything went smoothly. Rany is an excellent photographer too. Myself and my partner booked a one day sunrise tour of Angkor Wat and the surrounding temples. We had left it quite late to book the tour however Chet replied to our email promptly and we booked a tour for the following day. Our guide was Bunath and we cannot recommend him enough. He was very very knowledgeable and friendly. He also gave us tips to ensure we got the best photographs to take away with us to remember this great experience. Also he was always on hand with cold towels and cold water which was an added bonus and we appreciated this so much. Pick up time was as arranged. Car was clean and kept cool. Driving was safe and Bunath ensured that we got as close as we could to the sights so that we didn't have to walk too far from and back to the car. All in all a great tour and was worth every penny. Would definitely recommend this service to others looking for a tour of Angkor Wat and the surrounding temples. We booked a 3 day tour for the temples and floating villages. Communication with Chet was easy and we met our guide Khemra and driver Siyem at the appointed time at our hotel. Both were very welcoming, cheerful and professionally dressed. The car was immaculate and air conditioning was already on with bottles of cold water available. Khemra was easy to talk to and pleasant to be with. He went into just the right amount of detail for his temple explanations. We also learned a lot about Cambodia and it's customs. He was also very safety conscious with warnings to duck our heads and watch our step around temple sites the driver Siyem was a very reliable and safe, courteous driver. We found this company online, without any referral or other knowledge. We selected it because it exactly what we needed -- a two day touring program of Angkor Wat and environs that was part of our larger, longer visit to Thailand. We were greeted cheerfully and promptly at Siem Reap by Phearomme, our guide, who over the course of the two days not only showed us the MANY sites that are part of the "Angkor Wat complex," but also described for us in detail the cultural elements and the history, both ancient and more recent. As Americans, the devastating impact of "The Vietnam War" -- which of course spilled over into Cambodia was brought home to us very clearly but in a historical way. As it happens, Pheromme's family was one of the many that was deeply hurt by the war, but his re-telling of the situation was professional and historical. Along with the ancient reminders we also saw some that were more recent -- most telling, a contemporary sign announcing the progress of the removal of hidden underground mines, a job that is still ongoing 40 years later. Phearomme helped us to understand that Angkor Wat is only the tip of the iceberg of the ruins near Siem Reap, and, in our opinion, not necessarily even the most interesting one. Certainly it is magnificent, and it is in great shape, and its sheer size is truly remarkable, but the ruins at Bayon and especially BENG MEALEA are more mysterious, even as their sculptures anfd carvings tell very clear and informative stories about the culture and life of the ancient Khmers. A special thanks to the owner, John, whom we never met but felt as though we knew because of his attentiveness to us and our tour, via e-mail, in advance. It also is clear to us that he knows how to recruit capable professionals to his team. Several reviews here mention him as a tour guide; we can say with confidence that even if John is not your tour guide, our experience with Phearomme demonstrates that you will have an excellent tour. When one travels with a tour guide, even for just a couple of days, one gets to know each other a fair amount. Phearomme's description of his family life in the larger context of modern Cambodian/Khmer culture and practices was an added bonus. On our way home near the end of the tour we even had the great pleasure of seeing his own home and meeting his wife and little baby! A really nice touch, heartfelt and rewarding. Our experience involved the two-day tour, and so we cannot comment specifically about any of the other services of this company. We can only assume that the same level of responsiveness, professionalism, comprehensiveness, courtesy and attention to detail is part of Angkor Wat Service's "culture," as well. Booked Angkor Wat Services based on the reviews read here, and all the excellent reviews are definitely well justified. From the communication of Chet through email down to the tour itself.. there's nothing to fault. Chet is very friendly and speaks really good English, we never had any problem conversing with him throughout the tour. He’s been a licensed temple guide for many years and is extremely knowledgeable about the history of the temples, the culture and the country. One can tell that he is very passionate about his job and the national heritage. He was also very patient, giving us time to take photos and explore the ruins. Chet knows the best route to walk through the temple grounds in order to see the most. He also takes awesome photographs and knows interesting places to compose our photographs. He planned our itinerary around avoiding the big crowds. He also kept cold drinks in the car to help cool us down in the hot weather. Our itinerary was a 5am to 6pm tour but never once he shown any tiredness on his face, in fact he was explaining the sculptures and history of the temples with extreme clarity and energy. He is just super pleasant to be around. We really cannot say enough about Chet, thank you for the unforgettable tour!! Definitely recommend Chet’s guide service if you plan to visit Angkor Wat! Bun was our guide for day tour around Angkor Wat sunrise tour and several other temples in the area.Bun was excellent tour guide very knowledgeable,friendly and looked after us very well during the day.We were collected and travelled around in nice car with ac and water available throughout and the driver was very safe. would definitely recommend! I recently visited Angkor Wat Cambodia as well as Vietnam with a tour group from Gate 1 travel. The trip far exceeded my expectations. The history and beauty of Angkor Wat is beyond belief. This was further enhanced by the extremely knowledgeable guide provided by Gate 1. The food and accommodation was also superior. I highly recommend this trip for anyone who loves history and exploring new places. Our 3 day trip to Siem Reap would not have been as amazing as it was without the kindest, friendliest, most knowledgable tour guide on the planet - Chet. As an ex-school teacher, he took us under his wing and showed us the around the temple district, taking us through the back doors to avoid the queues and gave us a different perspective of the region. He was most happy to take us where we wanted to go, at our own pace, and even sat us down with a few of the temple guardians to help us improve our grasp of the local language and culture. His knowledge of his beloved town is second to none and his English (plus 5 other languages) is extremely fluent. Everywhere we went he had a smile and a hello for other tourists and kept our happy vibe up the whole 3 days of touring. He provided cold water and umbrellas for us throughout the days and took us to some of the most delicious restaurants to experience the local food. Our trip to the floating village was also beautiful and we got to play with the neigbourhood children and leave them with some candies we purchased at the local markets. It was very special. He also included a transfer from the airport to our hotel and back as part of his service. I cannot recommend Chet highly enough, and we will definitely be employing his service next time we are in Cambodia. We took a two day tour with Poan as our guide, and I cannot even imagine seeing these temples without someone well-versed in their history to give us context. For a very low price, we got a van that fit 10 and was filled with as many water bottles as we could drink (a must in the summer heat), a guide whose stories about the Angkor temples were rivaled only by his stories about his own life growing up under the Khmer Rouge, and an experience we will never forget. I planned the trip in a hurry and had no time to study anything else about Angkor Wat. I only searched TA and found Angkor Wat Services. After that, just email confirmation of the trip with Chet. On the day of the trip, everything was just the same as described. And I have to give a big thanks to our guide, Mr Sok Phai. He is very nice and knows everything about Angkor. And you can feel his love to Angkor Wat and his country. The air-cond car and iced water helped a lot in the hot summer also! Having only one day in Siem Reap (and a late arrival the night before) I was keen to arrange a tour that was neither too long nor with too early a start. Angkor Wat Services gave us exactly that, picking us up at 11am and taking us to three wonderful temples and a very nice restaurant for lunch before returning us to our hotel at about 4pm. Our guide was a delight and the car was comfortable and equipped with everything we needed, from water to umbrellas. Definitely a good experience. We were only in Cambodia for a few days but our experience with AWS was so fulfilling. Our guide, Poan, really made it special. Poan was so generous, and not only had incredible knowledge of Siem Reap's temples, but shared his own life with us. We all felt deeply connected to him, and it just felt like a group of friends exploring as opposed to most guided tours which could feel rigid. Siem Reap is rich in history, and Poan exposed us to a Siem Reap that I will never forget. I highly recommend AWS, and especially Poan as a guide. My husband and I booked a 3-day private tour. We have seen the must-see spots in the area and were well taken care of. We were accompanied by a knowledgable English-speaking guide Mr Samath. He provided us with interesting information about the attractions as well as the country. Our trip would not be the same without him. He brought us to secret photo spots and even got in some of our photos. (We were acting as the missing 'guard lion' at the entrance of a temple). He was punctual and was always willing to accommodate our needs. The car was clean and spacious. The driver wears a smile all the time and never forgets to provide us with cold water after each visit. We have definitely no complaints about the tour. Join it and you would get to hear the many wonderful stories behind the big rocks. 2. Accommodative - was in town for the Angkor Empire Marathon. The company was able to fit this as part of the 1 day tour at no extra charge. I was picked up from my hotel at 5am, dropped off at Angkor for the marathon and then brought back to my hotel to shower and change before back to Angkor for my tour. 3. Friendly and reliable guide and driver. I was assigned Sim as my guide who spoke good English and was knowledgeable. Driver Nangnok was always quick to offer cold water and cold towels. 4. Sophoan the managing director even made the effort to call during the trip to make sure all was fine. During my 5 days stay at Siem Reap with my husband from 13th -18th July, Chet our english speaking tour guide who showed us Angkor Temples and Mount Kluen. I was amazed with his patience, punctuality and hospitality. He made it a memorable stay for us with his knowledge of history and his explanations of fine details at every prominent places. He is also our creative cameraman. Both his car and van was comfortable to travel in. We will engage him again or strongly recommend him. Thank you Chet who has become my first cambodian friend too. Our trip was made perfect by our tour guide who was so amazing. He was on time, brought us to Angkor Wat with minimal hassle. He explain all details of this site on what we need to know.. showed us the finer details of this beautiful monument and was our cameraman too. We appreciated the place even more after this trip. John Chet is one of a kind who take his profession seriously. We were simply amazed. Will recommend this tour agency and time.. Wonderful Experience with top quality service, I felt like I traveling with Family! I am really glad my family suggested we use this service Mr. Poan came highly reccommended and did not disappoint. Chet knows it all! Great guide, very good English, he knows when to be where to avoid the big crowds and can show you the best spots. John Chet can tell you everything about the history, the religion and not one question remained unanswered, Highly recommendable. We did a tour with Angkor Wat Services and had Channa as our guide. A very professional company and an exceptional tour guide - by far the best we've had in all of our travels around Asia, and that is saying something, because we have had some excellent tour guides!!!! Channa was so knowledgeable!!!! But not only that, she was incredibly fun and friendly and shared her knowledge in a way that was interesting and easy for us to understand. By far and away the best tour guide we have had so far. She really brought Angor Wat, Tom and all the other places we visited to life. We only wished we had her as a tour guide for a longer amount of time. As for John at Angkor Wat Services - very professional, replied quickly to emails, and on the first day I had an issue with my bank and he very kindly allowed us to sort out the issues with the bank that day and do the tour the next day instead. We were very, very impressed by this outstanding customer service and highly recommend his tour company to other people - because of this and his exceptional tour guide, Channa. My boyfriend and I went on the Angkor Wat sunrise personal tour - it was fantastic! We had the most amazing guided tour experience thanks to Chet. He filled us with 8 hours of fascinating information and I completely believe we could've gone for another 8 hours and he wouldn't have run out of fun acts for us. We were picked up in a nice SUV, which was great to escape the heat of the summer sun between temples. We loved that he had done this enough to know where the crowds were going to be headed and gave us the same tour while circumnavigating them, so it truly felt like a private experience. We were shown all of the best places and angles to take a lifetime's worth of beautiful photos. To top it off, we went to one of his favorite restaurants for authentic Cambodian food and after a long, hot day, he gave us a coconut to drink from. We couldn't have asked for a warmer guide, who was fully intent on making our experience truly memorable. We would recommend him again and again. Chet was the first to reply when looking for a tour guide for our visit. All tour operators offered similar itineraries and prices, as Chet responded first we went with him! Firstly, it was extremely hot in June so we were kept hydrated by Chet which we were grateful for. As we were only in Siem Reap for half a day we wanted to see as much as possible, as quickly as possible. Chet's itinerary hit both those objectives allowing us to be flexible throughout the tour as we grew exhausted from the heat and all the walking! Definitely worth it though, it isn't a walk in the park but the history is just amazing. Chet has an excellent personality, you can see genuine kindness when he speaks to you and his approach to others throughout our tour. He was very informative about many aspects of Cambodian life, not just the temples we visited. Please be aware that there were lots of children trying to sell things at the restaurant area before you enter the sights (as you would get at many places around developing countries). I encourage you to have patience as we witnessed unsavoury behaviour from an American tourist throwing the childs goods away in anger at being bothered. They were selling things for 1 dollar. All in all I would highly recommend Chet, you were an excellent guide, all the best for the future! Booked this service and the guide was actually sub contracted ? Through a different company we think but he was great. The day we went was super hot so the air conditioned car was a god send. And the unlimited supply of cold water couldn't have been better! Our guide was very informative and listened to what we wanted. He loved taking photos and took us to good spots to get the best photos. We took our own breakfast so we didn't end up eating at the restaurant, however we still ate our own food there to have a rest. They didn't seem to mind. rani took us to an extra temple which was secluded and peaceful. A great, very full on day which was well worth it. We booked a two day tour. Having read wonderful reviews, we requested for Chet to be our guide. Our emails were promptly replied. Although our tour was only supposed to start the following day, Chet personally came to pick us up at the airport the day before. It was pouring and Chet did his uttermost to ensure we stay as dry as possible walking to the car. Chet was a great guide, steering us away from the maddening crowd, showing us the best places to snap a photo. He was very accommodating to make adjustments to the itinerary according to our request. Besides the sights, we also learned a lot about Cambodia from him. He also took great care of us, making sure we stay hydrated in the hot weather and holding the umbrella over our heads to make sure we are shaded while we freed our hands to take photos. We later learned that Chet does more of the administrative running these days and that he took the tour simply because we requested for him. We arranged for a transfer to the airport from him and to our surprise, he came to send us off even though it was his day off! Truly excellent! We booked a two day temple tour with Chet and our Guide Bun and driver Mr Khom were two of the most helpful people you could wish to meet. Bun's English was perfect and he was always smiling and helpful and his knowledge of the history of the temples was amazing. We are an older couple and found that Bun was most thoughtful about what we were able to view and always had cold drinks and towels for our comfort. We had stops for lunch on both days and these food outlets were also of a high standard. It was a great experience and we would have no hesitation in recommending this Company and in particular our driver and guide. The two-day tour of Angkor Wat was perfect - from beginning to end. Not only was Chet very responsive to my emails, but his choice for my tour guide could not have been better. Ms. Se Saven, my personal guide, and her driver, were at the hotel promptly the first day. Se was extremely knowledgeable about every part of Ankgor Wat, but more importantly, she made the tour fun. She has a great sense of humor and knew the ideal locations for the best photos (she's a darn good photographer, too. I was traveling alone so she also served as my private photographer!). Most importantly, and this was key to my most enjoyable visit, she knew where the tourists were and where they weren't. So, while the tour groups were in a particular temple, we went to the one that was empty. I literally felt like I had some of the temples just to myself without huge tour groups in front and back of me. I would highly recommend using Angkor Wat Services and, if you want the most enjoyable experience, request Se Saven! You won't regret it! Cold water (continuous) and AC in the van was much needed and made the whole experience even better! Collected us from the airport - flight was delayed and they amended plan/itinerary to suit us. We didn't miss anything. We were there for New Year Celebrations and were shown around the temporary exhibitions/performances that were held to celebrate. Dropped off as close as possible to all temples, which really helped with the heat! Everything was explained well so that you knew what to expect. Guide was very good at taking pictures and knew the best places to take them! We'd definitely recommend seeing the temples using a private tour guide as it can be tailored to you. We just finished our two day tour with Rany and had an amazing time. As others have mentioned we were kept comfortable riding in a Lexus SUV with plenty of cold water and towels. Rany was also very flexible and able to customize our trip to see exactly what we wanted! As a side note if you love photography Rany is your guy. He was able to show us the best spots for photos and took many beautiful pictures of the two of us. You could tell in the way he looked for the right lighting and carefully composed each shot that he himself is passionate about photography! He also has a very obvious love for his people and his country and it showed in the way he spoke of the history and culture of Cambodia. It was great to have an insider's perspective on the country. Rany really made our trip amazing and we couldn't imagine what it would have been like without him guiding us - huge thank you to Rany and Angkor Wat Services!!! Myself and wifey were picked up from hotel in nice jeep with AC on to the max. They provide a driver and tour guide for $80! We were brought to each temple and the guide would get out bring us around while telling us the history of inscriptions and statues. When finished he would call the driver who would then pick us up at the entrance in a super cold car with cold bottles of water. This is an absolutely luxury as the heat/hum is so intense. Would highly recommend these guys. Our guide "Mr La" knew all the best photo spots too. Making sure you got loads of pics with no one else in them as it is quite busy. Tip: bring a spare shirt as its so hot and nice to change half way through. We were met in our hotel lobby by Thy in a nicely air conditioned Lexus SUV, we had almost melted when we did the Angkor circuit in a tuk tuk, so that was nice. We went to visit a floating village, which was both fascinating, and eye opening. In the afternoon we visited Bing Mealea, a huge temple still in the grips of the jungle. Thy took us through an "alternate" entrance to the temple, scrambling across ledges, over stones, and across the top of a wall, lots of fun. Thy's knowledge of the temple, and stories of Hindu mythology made for an interesting visit. While we were driving, Thy told us stories of growing up in Cambodia, Cambodian history, as well as his personal, and terrifying experiences with the Khmer Rouge. At the end of the day I left my camera in the front seat of the car, and Thy cheerfully dropped it at the hotel within 15 minutes. All in all, a great experience for us. Excellent services provided by fantastic guide. Mr. Chet knows a lot of History and details about the temples and the region and does an entire itinerary with professionalism, security and kindness. Very highly recommended. Couldn't recommend Chet highly enough. He was an absolute gent from initial emails/ideas about itinerary through to our final farewell at the airport. He has a great depth of knowledge, and is genuinely keen to share as much of it as he can with you. He's also a great photographer, so we got some lovely shots of my wife and I around the temples - rather than just one of us which is often the case on holidays! If you're going to visit Angkor, do yourself a favour and use Ankgor Wat Services. Angkor Wat Services and Private Day Tours provide heart felt impeccable service. The easy flow and transition Mr. Sopoan Rath takes with each and every individual client makes you feel like you are traveling with dear old friends. I know there are plenty of travel companies but kindness, professionalism and pleasantries when you travel abroad go along way. Poan removes all the confusion and makes room for you to enjoy your journey and have fun. Top-notch quality service, highly recommend! We had a wonderful 2 day tour of the Angkor Wat sites using Angkor Wat Services as our tour company. Sarak was our guide. He was extremely knowledgeable and spoke excellent English. He made the history of Cambodia come to life for us. Just as importantly, Sarak was very nice and we had some wonderful conversations about Cambodia and life there. We really enjoyed his company! We would highly recommend that you request Sarak to be your tour guide. Chet, who made all the arrangements with us on-line prior to the trip, was also excellent. We had a very memorable experience seeing one of the greatest sights in the world! Thank you Sarak and the Angkor Wat Services tour group. I would recommend this tour company. Reliable, friendly and enthusiastic about what they do. We skipped the sunrise start on the one day tour (lack of sleep) but think it would have been amazing. Our guide, Bun, was very knowledgable and a great ambassador for Cambodia. We were able to take the day at our own pace and Bun was more than happy to be our own personal photographer. His knowledge of the area was outstanding. Our driver was also exceptionally courteous, making sure we had cold water, and cold towels at every stop. Bun also knows how to beat the crowds when needed. A really memorable day. I booked a two day tour with Chet as our guide for my family's 1st Trip to Siem Reap, Cambodia. I brought my wife and both our mothers so i decided to get a private vehicle instead of the local tuk tuks for convenience. The overall experience was excellent. Not only was Chet friendly as a person but was also more then willing to go beyond the norm to ensure comfort for me and my family. Making the entire trip enjoyable and worthwhile. Not once, did we felt rushed nor stressed for the trip. I highly recommend his services for any who are visiting and requires a guide. I booked Chet for our family tour of the temples after spending a day with him eight months ago and having an amazing time. This time the kids came along and were every bit as happy with Chet as I was! Chet makes everyone feel comfortable, is very informative and is also funny! The service provided by Chet and his drivers is worth every cent and I highly recommend using them. We had booked booked a private day tour starting at sunrise with Angkor Wat Services and we're not disappointed! We were picked up just before 5AM by our guide, Bun, and driver, Khom, who then took us to get our passes and literally the best position possible to watch the sunrise over Angkor Wat. They got us there just before all the crowds and we were very grateful for that. After watching the sunrise Bun gave us an excellent tour of the complex with great information about the history of the place and he also took excellent pictures of us as well. Khom always had the car ready for transportation to Angkor Thom and Tomb Raider and it was always air conditioned. We also got as much cold bottled water as we needed which was great because because as because as the day got hotter we needed it. Bun and Khom gave us a excellent private tour and always got us in ahead of the large crowds. I would definitely recommend them both to family and friends who wish to make make the make the most out of a one day trip to Angkor Wat. I will never forget our day at this amazing place and can't thank Bun and Khom enough for a wonderful experience and private tour. I love how he described not only the iconography but also how it transitioned for Hinduism to Budhism. And an all round great chap!!!! My friend and I had an amazing time with Chet on our private tour to see the Phnom Kulen Mountains. He was very friendly, professional, and knowledgable. He picked us up from our hotel in a nice air conditioned car and we drove to the top of the Kulen Mountains. Along the way he went into depth about Khmer history and culture and was willing to answer any questions we had. At the top of the mountains we saw the 1000 Lingas carvings under the water in the river and did a short hike through the woods to see the fresh spring that feeds into the river. Our second stop was to a traditional medicine market and temple with a giant reclining Buddha. Lastly we went to waterfalls where we were able to swim in the water and under the falls. It was quite refreshing after being in the heat of the day. Don't worry if you feel a little tickle in the water - those are the fish eating dead skin off your feet, the real version of the massage parlors in town. After sightseeing we had lunch (not included) at a local restaurant near the waterfalls. It was honestly some of the best food we had in Cambodia - incredibly flavorful and delicious. On the way home we stopped by a market where the people make and sell palm sugar. It was cool to learn more about the local ecology and practices. Chet was a really great guide - he seemed to know everybody at each stop and had friendly banter with everyone he encountered. He provided bottles of water throughout the day as needed and even shared his green mango with salty/spicy dip with us. We had a great experience and would highly recommend! 6 of us booked a 2-day tour of the Angkor Wat complex. Chet was our guide, he was very knowledgeable and accommodating and he modified the tour based on our requirements. We had a great time and learned a lot about the culture of the people on that corner of the planet. Chet was previously a school teacher so knows everything and anything about the Angkor National Park! We were leaning towards a group tour because it was cheaper but made the last minute decision to splurge... Which was the best decision on our part. It was so hot and Chet really paced the tour perfectly he provided ice cold waters and towels and even took us from each temple in his air conditioned Lexus. He is extremely knowledgable and knows the best way to your the temples. I would recommend Chet to any friends or family that will be visiting Siem Reap! Not only was Chet friendly and as knowledgeable as an encyclopedia on Ankor Wat, he was incredibly warm and kind. A tour guide so good, I would now call him a friend. We had reserved a three days tour from Angkor Wat Service (AWS). Before our arrival to Siem Reap we had agreed with AWS the places that we would like to visit and explorer during our stay in Cambodia. On the first day we met our guide "Sophath" and driver "Khom" in our hote exactly on time. Sophath was very nice person having a lot knowledge about the sights, area and Cambodia in overall. He also had great sense of humor! And our driver Khom was driving very safely and was always asking if we need cold water when we arrived from the sights back to the car. All three days were quite long days, especially the last day when we explore the Angkor Wat main sights starting at 5am until 3pm. We were a little bit worried about amount of the tourists visiting on the sights since Angkor Wat is the most famous place in Cambodia, but Sophath managed to schedule our visits so that we were able to avoid peak-times or/and selected best place e.g. to take a sunrise pictures of the Angkor Wat temple, and in some places we felt that we are there just by ourselves. All-in-all - we were very happy and satisfied with AWS. We got very good and professional guidance not only to Angkor Wat temples but also for some rural areas including nice jungle walks and boat trip to Tongle Sap lake. Angkor Wat Services was very prompt in answering the emails. John, Chet, the guide took us around for three days. He was very flexible and agreeable. The guy understands customer service. He also had a nice comfortable car. He made our visit to Angkor Wat memorable. I did a 1 day private tour of Angkor Wat with guide Sam, and Vanny the driver where I was picked up from the airport and dropped off at my hotel. After much research I decided to go with Angkor Wat Services and I'm sure I made the right choice. The tour was great, it was absolutely worth it choosing to do a private tour so you are not following a ton of other tourist around. Great time indeed! We had a wonderful tour of Angkor Wat with Angkor Wat Services, represented by Chet (aka John). We contacted Chet thru email and he was always prompt in his response. We provided him our requirements and Chet worked out an itinerary. He was very flexible and modified the tour to suit our requirements. Chet's knowledge about the temples and the history is amazing. He is command over English language is also very good. It is apparent that he has done in-depth study about the Angkor Wat temples and was able to provide excellent historical perspective. We also enjoyed his way of narration. Chet is also an excellent photographer. He was able to suggest spots for some great photographs. We were lucky to get some excellent photos following his suggestions. I would highly recommend Chet for his professionalism, knowledge and his service orientation. He conducted the tour in an excellent manner, provided the best commentary, and he was always ready with stocks of chilled water and cold wipes everytime we came back to the car after finishing our visit to a temple. Chet also introduced us to the daily like of Cambodian people. During our trips to Phnom Kulen mountains and Tonle Sap lake, he provided us a good perspective of the local life. He introduced us to some great local delicacies such as Sticky Rice in Bamboo and Palm Sugar. We took 2 tours with Angkor Wat services - a 3 day tour with licensed guide which was handled by Chet, and a 2 day tour with only car and English speaking driver which was handled by Chet's colleague Kim. Both Kim and Chet were excellent in their knowledge levels, customer centricity and service approach. at the very start of their respective tours both started by profusely thanking us for visiting their country and Angkor Wat area. This was followed by a quick orientation about the area and thereafter continuous commentaries about the places that we visited. I would recommend Angkor Wat Services to people who would like to have an enriching tour of Angkor Wat. My husband and I were provided with 3 days Angkor temple touring by Angkor Wat Services. I can not recommend them highly enough. The process of booking and arranging was very simple via email and Chet, who set up the tour, was very flexible and adapted the tour to our needs. It was good value for money. Our guide Ms Severn was absolutely brilliant. Friendly, prompt, reliable, and knowledgeable. She spoke beautiful English (and taught us some Khmer!) and also adapted the tour day to day based on our energy levels and interests. We learned so much about Cambodian history and culture - not just about Angkor but in general. I came away feeling like we got a real insight at the hands of an expert. Our driver, Khon, was always ready with a smile and a fresh bottle of cold water at the end of site visit. I can't imagine any other tour provider could be better than Angkor Wat Services. We booked a guide and driver for two days in and around Seam Reap. We are at the end of a three week swing through SE Asia and wanted to visit Angkor Wat & environs. Mr. Lim Sam Pho ("Sam") arranged for Mr. Heng to pick us up at the airport, drive us to our hotel, drive us around for two days and deliver us back at the airport for our flight. He also arranged for Ms. Saven to be our tour guide during our stay. Mr. Heng was waiting when we got off the plane at 8:35pm even though we were one flight earlier than anticipated. He grabbed our bags and promptly had us traffic on the way to our hotel. Both of them were "Johnny on the Spot" at 5:00am the next to assault Angkor Wat this morning. Ms. Saven is a superb guide. She is very knowledgeable, a great photographer and lots of fun to spend a day with. She and Mr. Heng put in a 12 hour day while remaining cheerful and helpful all the way back to the hotel. We're going out again in the morning for more fun and adventure and I'll report back when I get a chance as they're dropping us at the airport in time to catch our flight tomorrow night. The fees are very reasonable and in line with all the other guides. We are very impressed with the experience and have worked with many guides, however we have never worked with any better. Spent a couple of days touring the incredible temples with "Bun" and our driver Mr. Kim. We couldn't have been happier with the first class service we received. Sure you could save some money and simply take a tuk-tuk or rent a bike, but because we only had a few days it was important to us to maximize our time in order to see as much as possible. We also asked to try and avoid the massive crowds that flock to the temples this time of year, which was a tall order during the peak of high season. Our guide Bun did a fantastic job taking us to the main sites everyone wants to see, but he did it in a great way that helped us feel like we were alone at some of these temples. In some cases it was just a matter of walking around to a less traveled entrance, which sure this sounds simple, but it actually did make a big difference. Both Bun and Mr. Kim were perfect, at times making us feel like we were apart of their family. I couldn't recommend a better combo and it we ever make it back to Siem Reap, we will definitely look these two up. And cheers to Chet for making all of this happen! Have toured all over the world, and I cannot remember a tour service that exceeded the service, knowledge and value of Angkor Wat Services. From email booking with John, to the on-site support of Vorleak (private guide) and Vany (driver), everything was perfect! John set up a excellent 3-day custom itinerary that allowed us to see high points in the Angkor complex and venture off of the tourist track to the stilted village of Kampon Khleang and a floating village at Tonle Sap Lake. Vorleak is an excellent English-speaking guide. He showed us the typical heavy hitters, and pointed out items of interest from historical, architectural and cultural perspectives. He had an excellent sense of what would be of interest to international visitors. He chose paths and times for avoiding crowds and allowing for the best light for photographs. It is apparent that he has toured with photographers, and understands composition and lighting needs. He chose excellent local restaurants for lunch. Our only regret is that we didn't plan to stay longer than 3 days. Well worth a week's stay in the Siem Reap area. Tip for travelers to Siem Reap: items to bring for children include pens, children's books in English, notepads, soccer team jerseys. Fantastic tour conducted by the most warm genuine and caring guide Chet. He was amazing, knowledgeable and very happy to Assist for anything. Cannot recommend any higher - please support these guys because they are truly worth it. We booked this tour through a friends recommendation. We did day one to visit the fishing villages and lake and day two to tour the temples. The tour was excellent and our guide Bunlem was friendly, helpful and knowledgeable. All the arrangements prior to arrival we're promptly and efficiently handled. Bunlem's family still live in one of the villages so he really does know all about the area, we found it fascinating. The temple tour was absolutely breathtaking and we were so glad that we had opted to go with the private tour rather than go it alone. Bunlem shared so much fascinating history and knew all the best places to see at each temple. The driver was also very safe. We would highly recommend this tour. I only had 2 days in Siem Reap and chose the services of Angkor Wat Services for a private guide service. My experience was excellent. Both the guide BUNN and the driver KHON were exceptional. We were able to pack in a number of sites to see and they were more than accommodating to our various wishes be it to add things or to just spend more time at different places. The guide's English was very good and overall they made the trip very enjoyable. Highly recommend using their services. My partner and I did a two-day tour over new year with Leak, a member of the Angkor Wat Services team. The tour was excellent - even better than I had hoped, and worth the money. Chet was very helpful when I was trying to set up the tour beforehand, and he was able to quickly answer all the questions that I had via email. We wanted to check out the sunrise over Angkor Wat on the first of January but avoiding the crowds if possible, and it was easy to arrange this. He also helped me work out the budget that we needed. Most of all, it was invaluable having someone as knowledgeable as Leak actually being able to come in to the temple complex with us. So while you can do a similar tour for cheap in a tuk-tuk, you will absolutely miss out on understanding the meaning and history of the beautiful temples when the drivers wait outside. Leak's English was great, he had a good sense of humour, and he really helped us get the best out of our short stay in Siem Reap. I cannot recommend the two day tour (floating village on the Mekong and Ben Melea temple day 1 and Angkor Wat, Bayon and Ta Prohm plus more day 2) highly enough. My guide, Savine, was amazing just the perfect combination of being knowledgeable about historical and cultural information, personable in every way as well as being engaged and going the extra mile every time. (Savine even took photos on her camera for me when my batteries went flat and sent them to me). The tour was well timed in terms of maximising times at the temples when they were less busy. The choice of lunch stops was spot on and I really loved the personal touch brought to the walk around the floating village. The driver was so lovely and he and Savine stopped for treats like trying sticky rice inside a bamboo stick and were very accommodating anytime I wanted to stop to take a photo. The car was very comfortable and cool and they have me plenty of bottles of cold water. Thanks to choosing this tour company and Savine and the driver (I cannot fault them) I had one of the most fascinating and enjoyable tours in my many years of travelling. We didn't expect we get so much during this journey which given us a pleasant, comfortable & unforgettable experience in this beautiful country. Is one of our most worthy vacation.Thanks Mr Chet, we appreciated all your efforts! We've just said goodbye to Chet after an intensive 3 days guidance through the temples and fishing village. It is very pleasant to spent time with somebody that loves his job and shares his Cambodian wide knowledge and culture in perfect english. Very comfortable car and cold water always available. Highly recommendable! Fabulous experience. My wife and I just returned from 3 week trip to Vietnam and Cambodia. Our visit to the temple complexes and lake were one of the trip highlights thanks to our guide Saven and driver which we setup through Chet, Angor Wat Services. Always had cold bottles of water and cool compresses ready when needed. Everything from booking online, pickup and dropoff at airport to touring, shopping and eating was made seemless . A special thanks to our guide Saven who extremely knowledgeable, courteous and had a great sense of humor. I booked the day tour of Ankgor Wat and other nearby temples, like the King's old palace and the "Tomb Raider" temple. For this season I would book very early, maybe even months in advance because it is the high tourist season. John was great coordinating everything. Our tour guide was Chet, and we really enjoyed his service. He knows a lot about the history and culture of Cambodia and the places we went, and clearly loves his work there. I learned so much! It's great to have a guide explain everything because there are no information signs at any of the temples (probably to restore their natural look). Both him and the driver were also very attentive to make sure we went at a good pace through everything and had enough water and took lots of great pictures. We had Chet as our guide for 2 days during our stay in Siem Reap, where do I begin? Such an amazing, friendly person, he made the whole stay very personal and always had a smile on his face. He continuously provided us with cold water when we got back to the car which was great as the temperature was 35degrees Celsius +!! He took us around the temples, and explained in detail all the sculptures and various bas reliefs, and the history of each one. He is extremely knowledgeable and more than happy to answer any questions we had. Next time we come back to Cambodia we will be booking Chet again as why would you book anyone else when Chet is the best? :-) Thank you so much for such an enjoyable time Chet. We will see you again in the future. Your country is so beautiful and we only wish we could have stayed longer. Chet was a fantastic guide very accommodating. I was after a more rural tour, and he managed to arrange it. I went around Siem Reap with Chet and a driver for 2 days and managed to see so much. Large tours can be slow and tedious, but with your own guide you can do more in one day then a large group can do in two. I found Chet very informative, he was liking a walking encyclopaedia, and I never managed to stump him on any questions I asked. He loves his country and knows it well. On the second day we made plans for the days tour in the morning, with no idea, I simple told Chet the types of things I would like to see, and he arranged them on the spot. If you have time, I would definitely consider the Cambodian Cultural Village, the museum was okay but the theatre after the museum was fantastic. I went to Siem Reap last week with a few other friends. We were lucky to have Mr. Chet as our guide! I think it's the most important decision we made and it does really make a different throughout the trip! Actually, we were to have him guide us starting from the second day onward after we set our foot on Siem Reap since it was already around 5pm when we reached on the first day. Mr. Chet was so kind that he offered to pick us up at the airport and sent us to the hotel. Later that night he brought us to a fantastic dinner with puppet show and afterward sent us to the Night Market before we called it a day! All these he did it for FREE! We were very grateful toward him for that! The rest of the trip was really marvelous. Mr. Chet was really attentive and accommodating! He basically fulfilled all our request and we can feel that he was really committed to assure that we had a wonderful trip! It was really hot in the end of April, Mr. Chet helped us to ease the "burning pain" by providing us umbrellas, hats, cold drinks and icy wet tissues! Even though we visited a lot of temples, Mr. Chet made it interesting with all the facts and histories about the temples. We were able to know how each temple is different from another. He is basically a Walking History Book! At the end of the trip, we got home safely with abundant of great photos since Mr. Chet was really familiar with every corners of the temples and he knows where and what angle is best for fantastic shots! Mr. Chet, thank you so much for your service! I wish I can rate you more than 5 stars! Let me start by saying Chet Yousroeun has been my guide on a previous trip to Siem Reap and the amazing Angkor Wat temple complex. Chet is knowledgeable, flexible and courteous in his his manner. Right from the first moment his beaming smile and friendly nature reassures you have made the right choice. Make sure you book early from Chet with Private Angkor Wat Transport Service Days Tours, why? He is popular with so many re-bookings of those who have had shared a day or two with Chet. The Angkor Wat temple complex is amazing in its rich history of highs and lows. It needs a great guide to explain and show why Cambodia's architecture and culture is some of the richest in Asia. Chet is easy to understand and versatile in his approach. He answers emails promptly and work with you to devise a great program. My friend Steve and I had definite idea's for our tour and Chet was more than happy to incorporate those into the day. He has excellent drivers and vehicles ready to go with nice air-con relief between the temples. His greeting with cold water and refresher towels is awesome. Chet's knowledge of his people, his countries history and the way he shows it is simply the best. He met us at our hotel and was above all professional and friendly. We recommend this guide and will definitely book him again. Chet arrangerte en to dager sightseeing for oss, min mann, datter og meg, med henting og bringing til og fra hotellet. Dagene var informative, interessante og lærerike for oss alle, og foregikk i vårt tempo. Da det var veldig varmt under oppholdet var det deilig å komme tilbake til bilen innimellom hvor kaldt vann alltid ble forsynt oss. Chet er tålmodigheten selv, og øser av sin kunnskap - still gjerne oppfølgingsspørsmål og han besvarer med glede. Vi så Ankor Village, soloppgang over- og Ankor Vat, Lady temple og templet fra Tumb Rider, i tillegg til byen på sjøen - alt særegne opplevelser vi ikke ville vært foruten. Turen vår ble uforglemmelig, og en stor del av æren for det gir vi Chet. Hier blijf je ontdekken elke dag weer. Moet het als ik nu ging het doen in een rolstoel doen. Je kunt er meerdere dagen door brengen ,maar wij deden het in een dag het hele gebied ! Estuve 2 días en Siem Reap con mi familia guiados por Chet. Sin duda es un gran guía: conoce bien los templos y hace la visita a los mismos de manera muy amena. Chet se mostró siempre muy flexible con los horarios y los lugares que queríamos conocer. Habla muy bien inglés. Su amabilidad es para destacar. Hicimos un recorrido de un día entero por Ankor con Chet. Conoce la historia de los templos, su contexto, la historia, el arte, la política, la religión, su país, los árboles y plantas, de lo que sea. No es una cátedra, es una conversación. Es muy respetuoso de los tiempos que uno quiere darle a la visita. Siempre sabe tomar caminos alternos y muestra puntos de vista inesperados. Es un gran guía y sobre todo una gran persona! Recomendado! É do melhor que pode haver. Muito educado, pontual, muito prestável e faz tudo o que é possivel para nos agradar. Conhece a sua história muito bem. Fiz um programa para 1 dia muito extenso e "duro" (vimos todos os templos importantes + Banteay Srey) que consegui cumprir quase na totalidade (chegamos ao fim do dia exaustos pois fui com os meus pais e com uma criança de 6 anos) mas se dependesse do Sr, Chet de certeza que compria o programa por mim delineado. O valor do serviço cobrado é um achado. Para terminar... se for preciso o sr Chet "dá-nos a camisa que trás vestida". Muito obrigado pela a alegria e prazer que o Sr. Chet proporcionou a toda a minha familia, um grande abraço. It's the best it can be. Very polite, punctual, very helpful and do everything possible to please us. Know his country history very well. We just visited ancient Angkor in Siem Reap, Cambodia and had a wonderful time. Our tour guide, Nuon Chansarak (Sarak) was very friendly and knowledgeable. We got him with the help from John Chet <chettourguide@gmail.com> who was also very helpful. On the first day, Sarak picked us up at the airport and took us for a visit to a fishing village with floating houses. In the second, we visited with him Angkor Wat, Angkor Tom, Bayon and Ta Prohm. The price for both days was very reasonable and we did not have to pay anything in advance. Sarak took us to eat to some typical places with wonderful food. He was also a very good photographer. I highly recommend Sarak to be your tour guide. And Angkor is one of the most incredible wonders of the world. You will have one of the best trips ever if you go there. Just completed a 4 days private tour guide with Chet or John as he is sometimes called with great satisfaction. Email enquires are speedily replied and the itinerary was quickly arranged. Chet is always punctual and car is new, clean with strong airconditioning. Cold towels and water are provided daily. Although an itinerary was confirmed, Chet is very flexible and accomodating when there is last minute request. One such request was to watch sunset in the temple instead of another location. Upon arrival, realised that we are not appropriately dressed abd Chet immediately went off and came back with blouse and pants which he bought from nearby stalls. With over 13 years of guiding experience he knows how to avoid the crowd and show you best location for photography. He is humble and always pleasant. Will strongly recommend his service for private tour. Speedy replies from John. Definitely assisted me when I decided to get a tour guide at a last minute. I must say, I am definitely pleased with the day itinerary he proposed! Our tour guide, Mr Saruon was punctual, knowledgable and has excellent photography skills! He is funny and recommended great spots (for the best photo opportunity) and even assisted us to take photos! He even helped to politely "brush away" store vendors who were taunting us at the temples. Mr Saruon was extremely accommodating and would comply to your needs/concerns. Getting a tour guide would be a great investment for your trip to Siem Reap! - there are many beautiful history to learn about the people, Angkor Wat and the temples! Though we do wish that cost of tuk-tuk would be longer to cover our night trip to Pub Street but any other tuk-tuk would be cheap and easy to find in Siem Reap - so that's alright. I could not expressed how much I really loved the temples and I am beyond content to have Mr Saruon to show us around. Mr Saruon definitely made Siem Reap an enjoyable and knowledgable trip! I recently came to cambodia from 15 dec to 18 dec 2014. I had Ms Saven as my tour guide, and I came alone for the trip. The Angkor Wat services was really good and would like to rate them 5 stars. Ms Saven showed me around and explained the history of the places I visited well. She is very knowledgeable. Do contact Angkor Wat services to hire her if you are visiting cambodia. They provided good meals and first class transport services. I will never forget the trip in my life time. First trip alone and life time experience. Ms Saven is also a great photographer and it can be clearly seen in my photos. My husband was fortunate enough to have both Sear and Chet as guides for separate full day tours of Angkor Wat and the surrounding temples. Both had excellent command of English and a detailed knowledge of history and local circumstances. The organisation of the tours and the immediate confirmation by Chet was extremely reliable. You might pay more for their tours than what you can book locally, but their service, local knowledge and willingness to spend a long day on-site, is well worth the extra money. I highly recommend their services. Our guide was called Sear Voeurn who took us on a two day tour of all the main temples. He and his driver were punctual on both days. We found our guide to be extremely knowledgable and good company during the two day tour. He certainly shared a lot of stories about Cambodia in the general and he was very interesting. I would recommend the tour and using Angkor Wat Services. Booked with Chet's company after my sister had used his services in September 2014. He quickly responded to my emails and questions for tours and prices (which were very competitive). We booked a full day of tours broken up to a half day tour of Angkor Wat, Bayon And Ta Prohm temples for our son & girlfriend and then a half day tour for myself, wife, son & girlfriend to the Kampong Phulk floating fishing village. The guide Sear Voeurn with driver arrived at our hotel promptly for the 7.30am pick up for the temple tour. At about 1pm we were then picked up for all 4 of us to go to the fishing village. We had requested to have lunch on the way and Sear picked a restaurant that provided a very good selection of local and western food. Our son advised that Sear's knowledge and information about the temples was very informative and we found the same when we were all in the boat going through the floating village. His English was great and he was able to answer any questions we had. Would recommend Chet and his company for any tours. I explored cambodia for two days with Bunwat. The service, his knowledge of the country, and the entire experience were beyond my expectations. From the moment I arrived at the airport, Bunwat was professional, courteous, and constantly trying to make my vacation comfortable and memorable. He is so knowledgeable about the country. He had a good sense of when I might want to take photos, of things I might find interesting, and was great about being flexible, based on what I found interesting. I would recommend this tour company to anyone who is planning to go to Cambodia. Also, the Company is a Cambodian company, as opposed to a foreign owned company, which I was really glad to support. We opted for the 2day temple tour with Mr Chet. Communication with him was easy from the get go via email; he and his driver picked us up right on the dot on both days. Mr Chet has been doing this for 13 years and is extremely knowledgeable about not only the temples and ruins, but also the Cambodian history, culture, and all the details behind the Buddhist and Hindu myths that are portrayed in the carvings and statues within the ruins. His stories kept us intrigued and we've fallen in love with this beautiful country because of this. We were constantly provided with ice cold water and wet towels on the air conditioned car (thank god for this because it's unbearably hot and humid out!) He also knows all the best paths to avoid crowds and the best spots for photo opportunities! He's also very accommodating when we were too tired or taking our time looking at something. The thing that amazrd us the most was that his smile never left his face under the blazing sun- you can tell hes really passionate about his job and that his stories come from the heart. We weren't sure if we wanted to hire a tour guide in the beginning but we're so glad we did! If you're on the fence about the same thing, dont hesitate, ask for Mr Chet! Thank you Mr Chet for this wonderful experience! our visit wouldn't have been the same without you. My family and I thoroughly enjoyed our Angkor and Tonle Sap trip with Chet. He was always pleasant and accommodating to our special requests. Chet is very professional and has a fantastic knowledge of the history of his country...a real walking textbook!! The transportation provided was also highly commendable. We had a safe driver and the vehicle was well maintained. My parents and sisters first landed on Phnom Penh airport with an average expectation. Little did we knew that we are about to indulge ourselves into one of the most exciting and great trip ever. We were so lucky to be introduced to Chet by my colleague who had great time with him before. We spent 4 extra-ordinary days in Siam Reap/Phnom Penh and we enjoyed every single moments with "Chet". He had shown great commitment in ensuring everyone of us were comfortable and happy. His explanations were superb, covering all issues on history, entertainment, life experiences etc. He attended into all our needs which I do not think other tour agent would have been able to accommodate. Until now, we always talk on how great he is as a person/friend. We miss him a lot! I spent 3 really wonderful days with my family exploring the amazing temples around Siem Riep all in the very capable hands of our guide Chet. There were 9 of us of varying ages and walking ability which Chet handled very smoothly ensuring that everyone did as much or as little as they were able to. It was also very hot, but Chet ensured that we always had icy cold water to drink and lovely cold refreshing towels to cool our selves with when we got back to the bus. As well as taking us on tours of the temples, Chet also took us to some superb restaurants, a night market and to get an amazing massage. He was always on time, unfailingly polite and eager to help in any way possible to make our trip a thoroughly enjoyable experience. Once you have met Chet and been on a tour with him, you can see the hard work and determination that he has put in to making himself one of the best tour guides. If you need a tour guide in Siem Reip you really can't do any better then Chet! My husband, my brother and I visited Siem Reap and had the luck of finding Chet as a tour guide. He was amazing. Gave us a taste of the culture, literally. Grabbed us local snacks at every turn, things I have never had before. His knowledge of the temples and of Cambodia is rich. Chet really made our day great. Without him, our experience may have been watered down, but Chet knows all the ins and outs of Siem Reap and is happy to show you new and amazing things. THANKS SO MUCH. See you in Cambodia again! Chet is the man to spend a relaxed day or two at angkor wat. although he has tons of experience, it never felt like he is playing his standard tape. we had good chats about everything and the world. the day was very relaxed and we didn't bother about the other hundreds of people that were around. angkor defenitely has to be on your bucket list. enjoy! I landed in Siem Reap after a harrowing 23 hour `bus` ride which ended up being in the back of a speeding land rover with the luggage! I was dusty and tired and not really in the mood to be treated like a tourist. My friend I had met on the road had pre-arranged a tour before she left and she suggested I come along with her. This was Chet, a warm, kind man, who listened to what you actually wanted to do, who took you off the beaten track to some of the less famous temples. He knew as much as you would ever want to know about Angkor Wat but also very practical things like how to avoid the crowds and where to go at what times. He sorted out all the tickets and the rickshaws, he was just brilliant. We were with Chet for three days and he is a lovely person to be with. He made a beautiful place all the more memorable. I would recommend him to anybody. We are from México and went to Cambodia on our honeymoon on August 2011; Chet made our stay unforgettable, he's friendly, always on time, patient, explains everything clearly, takes GREAT PICTURES, speaks good english, his respectful, sociable and hardworking. We really admire what he does because you can notice that being a Tour Guide for him is his life and puts all of his energy and effort to make your stay happy, comfortable and most important learn about their history, and traditions. I recommend him very very much. He took us around the temples, and explained in detail all the sculptures and various bas reliefs, and the history of each one. He is extremely knowledgable and more than happy to answer any questions we had. Chet, was fantastic. I went with Chet for 2 days, and I could not fault his knowledge at all. His knowledge of Cambodia is truly amazing. I would point to things and he would be able to give me the background of the object and why it was there etc. I found him very accommodating. Discovering there were a lot of stone masons in Cambodia, and wanting to see them, Chet made it happen. I asked to eat with the locals instead of the tourist locations, he was very obliging. Highly recommend Chet! We had an amazing 3-days journey and it's all thanks to Chet. He managed to show us all important temples and gave us tips on where the best picture shots are, what's important to notice and told us a lot about the life of the local people. We were also very lucky to be there in the 5 days when Buddha's birth is being celebrate so he helped us approach some of the monks and get to know their life too.It was unforgettable experience and I would recommend Chet to my friends. If there is a rating over 5 stars, Chet deserves that. He made our trip to Siem Reap so much more worthwhile! Since we were only there for over a day, he made sure that he brought us to all the important places. He gave thorough explanations on each of the temples and gave us tips on where best to get the souvenirs we wanted. After a tiring day of climbing temples, he brought us to a fish spa and foot massage place. Also, all picture he took of us were great! He is highly recommended! Chet was an outstanding guide throughout our time in Cambodia. We spent four days in Siem Reap visiting many of the local temples including Angkor Wat, Angkor Thom, Ta Prohm and Beng Mealea. He was very knowledgeable about all of these locations and even provided inside tips on the best spots to climb for the best photo opportunities. But what stood out the most was his energetic, friendly attitude and his willingness to go the extra mile. I would highly recommend him for your visit. This tour guide has a great knowledge of the history of the Cambodian culture. He is flexible, punctual, enthusiastic and kind. We enjoyed his tour of the temples very much and find him to be professional and always polite. He knows the best photo taking locations and aleternatives if the crowds are many. We recomend and enjoyed his tours so much. He is the number 1 guide! Darren and Steve from Sydney Australia. Mr Chet as he likes to be known is a flexible, knowledgable and friendly guide. As two Australians traveling from Sydney, Australia with little knowledge of Siem Reap in Cambodia and its surrounding ancient wonders of temples. Hiring Mr Chet with a driver and air-conditioned car for a two day tour of the Siem Reap temples. Mr Chet allowed input into the tour plan and offerred helpful suggestions and points of interest to include. He was flexible in his start and finish times, break times and the order in of exploration. Being greated at the Hotel on Day 1 with a happy smile and welcoming handshakew as great. Mr Chet's driver was also welcoming and kind. Over two days Mr Chet opened a new world of understanding of Siem Reap temples such as Angkor Wat. He was easy to understand and patiently explained the history and culture of the Cambodian people through the stories that the great Kings of Cambodia left behind in the walls of the temples. Mr Chet suggested some great photographic locations and took some great pictures of myself and friend Steve in one of the most historic and amazing places in Asia. Mr Chet suggested an ideal Cambodian restaurant which provided a traditional menu right near the temples! He made sure there was always fresh bottled water and cool towels to refresh ourselves. Thanks to you , for taking us around Siam Reap.....we enjoyed the sight-seeing and my wife enjoyed the "climbing"parts....she proved that she can still do it at her age !! I must say it's not easy to do your job day in and day out like that.....All this running around and climbing up and down must have kept you guys 'fit' ! The sunrise in Angkor Wat is the wonderful spectacular. When we came back to K.L., in our first morning there....we slept in till close to noon hour....just like the good old days when we were much younger!!....ha..ha... that shows that we are still young and could enjoy the sleeping-in on our Off days. By the way, we are still in Hong Kong until Nov. 21st then we will go home to Toronto, Canada. We will definitely recommend you to our friends who are coming this way and/or visiting Cambodia....Let's keep in touch and please send my regards to your colleagues and buddies... ! We arrived at home safety. This vacation trip is more interesting than before because of you. Especially my parents really satisfied trip. Nice to have met you, my friend, and if I will go to the Siem Reap, next time I go to the Kulen Mountain with you. I will highly recommend my friends or someone who want to visit Cambodia to you. Chet is a very kind and well-mannered tour guide of Cambodia speaking English fluently and explaining everything about Cambodia I wondered and asked. How thank you for making my stay there pleasant. Especially, I can’t forget really wonderful “Angkor Wat Temples” like Angkor Thom, Elephant Terrace, Rolous Group, Ta Prohm, Banteay Srei, and Tonle Sap lake that have the best beautiful sunset. I can’t help to be impressed with my visit of Angkor Wat because of a number of different colors and patterns of all the temples, giant squares of there,detailed caving skills and techniques carved on the stones and unique characters of Angkor Wat and above all their sincere nationalism although i cannot know it exactly. Anyway, no visit is nicer than this one. It was the best!! I like every photo very much you took there and updated fancily those to my homepage, you know. Before came back Korea, I bought some candles shaped heart, star, flower and made a various of colors and a couple of scarves made the silk that Cambodia is famous for in celebration to my first visit of Cambodia. I and my sister had a good time in Thailand like this, in Bangkok, Surin island, Kanchanabury.. I think that is because you do your role sufficiently as a local guide. I’m so happy to get kind, smart and talented from various aspects friend like you. This tour guide has a great knowledge of the history of the Cambodian culture. He is flexible, punctual, enthusiastic and kind. We enjoyed his tour of the temples very much and find him to be professional and always polite. He knows the best photo taking locations and alternatives if the crowds are many. We recommend and enjoyed his tours so much. He is the number 1 guide! Darren and Steve from Sydney Australia. My name is Katrin and I am building this site for my dear friend Chet. I have now been to Cambodia twice and thanks to Chet,I have seen more than I ever hoped. He is an honest, informative, kind and caring individual who is completely in love with his home land. His passion and zeal show through and his genuine kindness make him not only my first choice as a guide but a friend for life. If you are visiting Cambodia, I would urge you to put your trust in this man, and allow him to make all the necessary arrangements for you. Cambodia is now my second home all thanks to Chet and his ability to show me what his country is really about. Chet was wonderful! My friend and I took great pictures and could give them meaningful captions because of his extensive knowledge. He is the kindest and most reliable guide we have could have wished for! Hi Chet, just want to write you a note to thank you for your professionalism and patience while my husband and I were visiting Siem Reap last week! This is really a great country to visit! There is a lot of history behind each temple.Thanks for bringing us to the local market to try the yummy dessert! It's really authentic! You have made Cambodia so lovely and special! We will definitely come to visit again! We miss your smile and thoughtfulness! I know Chet Yousroeun for 3 years now, so we became good friends. Every year when l visited Cambodia,he made a nice plan for visiting several parts of the country. He can tell you everything about the old and new history of Cambodia! He is an excellent and gentle tour guide in Siem Reap,Angkor.He will make your trip satisfy and get sweet memory. We hired Mr Chet recommended by another tripadvisor user . I emailed him and set it all up before we got there.He was great ,punctual [for 7am starts]His email is chetyousroeun@yahoo.com and his www.angkorwatservices.com. He was very well informed and made our time visiting the UNESCO sites very interesting.He also helped us at a pharmacy when our daughter was in need of some medication. Chet is a personal guide in Siem Reap, Cambodia. He has extensive knowledge of the ancient temples. "Very honest and hard working"
"Yousroeun organised everything from start to finish. Best guide we have ever had anywhere in the world. Knowledgeable and enthusiastic. Very honest. Amazing temples and sights." We just returned from 3 days in Siem Reap and had a lovely guide who was recommended to us by friends. His English was good and he planned our days exactly as we had requested. He and the driver provided a friendly, safe, and educational trip to the temples of Angkor. We spent for 1 full and 1 half day, including driver, water, tips and the sunrise at Angkor Wat pick up at 5am. He goes by Mr. Chet and can be reached at chetyousroeun@yahoo.com. Highly recommended! We really enjoyed the tour at Siem Reap for these days. We do appreciate what you have done for us-especially your hospitality,jokes, story-telling and your special culture performances. Nice to meet you and thanks to be our EXCELLENT and THE BEST TOUR GUIDE that we ever have. We would like to take this opportunity to wish you have a prosperous life, happy forever and have a good health. 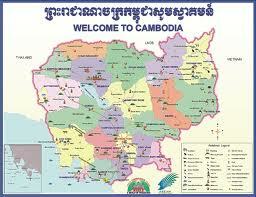 We will highly recommend you to our friends and who will plan to visit Cambodia. We hired Chet in March for a quick, two day trip in Siem Riep. We are so gladwe did! He was knowledgable, friendly, funny and helpful. Definitely worth themoney! We visited Siem Reap in late March and highly recommend Chet for transfers andtours. He responded to all of our inquires really quickly and had everything inplace for us when we got there. He had alot of knowledge of the temples andhistory of Cambodia. His driver was also great, always on time, polite, andsuper helpful! If you want to get a complete and articulate version about past & recenthistory of Cambodia, hear about mythological stories represented on the templewalls, be advised on the best spot to take pictures, experience special soundeffects inside the meditation areas, be nicely introduced to local people ofthe village, there is Ched, the guide that reflects the good mood and kindnessof Cambodian people. Teacher at college previously, he knows how to captivatehis audience and yet not academic but very pragmatic with his gentle driver, hewill go the extra mile for you. Be ready to learn a lot in a pleasantatmosphere with Ched..
With so much history behind each and every temple, my friend and I thought thatit would be a good idea to get a local guide to bring us around. Chet wasrecommended through another friend of mine and he was very prompt in hisreplies to whatever questions I have prior to our arrival. He couldn't bring usaround personally and had arranged for another guide, Mr Hour, who spoke goodEnglish and was very polite, humorous and accomodating to all our needsthroughout our 2 days tour. We never felt hurried during the tour and was treated to a condensation of thehistory of Cambodia in two days, including the Khmer Rouge days. Water was alsoreadily provided whenever we returned to the car to travel to the nextdestination just so that we don't collapse from heatstroke in the humid weather! First of, Siem Reap is a trip of a lifetime. I spent 4 nights and 5 days inthis Cambodian province and there is so much to be seen. I originally plannedon navigating the temples on my own but the more research I did, the more Irealized I needed a guide. A friend of mine just got back from Cambodia and shewas able to recommend Chet and his Private Tour guide company. I am so gratefulfor the referral, it absolutely made the difference! I reached out to him viaemail about a month before my trip, Chet himself was already booked but heassured me he will make arrangements for one of his guides to take me around.On my email I indicated specific things I wanted to experience on my trip: thetemples, sunrise, and sunset. I explained that I had no preference in terms ofmode of transportation (tuk-tuk or car). I also indicated in my email theactual time and dates that I’ve allotted for this trip as well as hotelaccommodations. It is important that you give Chet as much information in yourinitial correspondence so he can plan accordingly and confirmations on ratesand times. I was backpacking South East Asia so it was hard for me to follow uponce I got on the road. Having said that, I flew into Siem Reap late on Sunday night. I sent Chet aquick email saying I’ll be ready by 9am and he promptly replied. The next day,the guide along with the driver was waiting for me at the hotel lobby. Mr.Sophie gave me a brief description of the day’s events, timeline as well aswhat the next 4 days will be like. The guide asked me if I had any otherrequests, I responded: shopping, elephant ride, Tonle Sap River cruise – all ofwhich were not in the original plan. Mr. Sophie quickly adjusted the day andmade sure to pass on my request to the next guide. Chet and his team areamazing! They are very accommodating and extremely knowledgeable. My guide thesecond and the third day did an excellent job adapting to crowd, weather andlast minute requests. I’m just learning photography so the guide was verypatient and he came prepared with locations of amazing angles and sceneries. Wewent off the beaten path just to show me different perspective and views. Theyare also very attentive to my needs: always ready with a cold bottle of waterand a flash light to light my way during the dawn hike. The guide would evencarry my tripod without me asking for it! Lunch recommendations were spot on.I’m usually not dependent on a guide but the information I got while walkingaround was invaluable. It also kept the momentum going. if I was on my own Iwould have read my way through the temples. Despite seeing so much of the temple and Siem Reap, the entire trip was relaxedand evenly paced - not once did I felt rushed. We even had time to enjoy snacksin between temples. A few things to consider... Take the car :). Your very own tuk-tuk is wonderfulofcourse but the car offers temporary relief from the heat. Also, you will beable to hear the guide talk without competing craning your neck. Finally, justin case you have to leave any of your non valuable items (hat, tripod, waterbottle, etc. ), a car is much more secure. Chet and his team are awesome! My guides and my driver throughout the trip weregreat. The next time I go back to Cambodia I will definitely have to call onthem again. In regards to cost, the experience is worth every penny. Mr Chet was unable to take us at the last moment due to illness so we arrangedto have us use Mr Rani. Mr Rani was an excellent guide that knew the backdoorsinto the temples allowing us to avoid waiting long periods (it was Chinese NewYear). His knowledge was deep beyond the temples and provided the historybehind, My daughter got her much antisipated elephant ride because of hisefforts. The cost of the guide was a bargain for the value he provided. We sawa multitude of temples, the lake and a lotus farm. We took a side visit to theschool and spent time with the kids before school started - a absolutelywonderful experience. Chet is High Responsible tour guide! Chet is the great knowledgeable tour guideof history of Cambodian culture and civilization. He is high responsible,punctual, flexible, helpful, enthusiastic, patient, passion, interest andreally commendable. I enjoyed his services very much. He knows the best photo taking locations ifthe crowds are many. His English is very fluent and he has all the informationneeded to make a perfect tour around the places. Please don't hesitate tocontact with Chet's services! Even though we already have learned lot about Hindu mythologies and storiesfrom childhood, I personally felt the need for a tour guide to visit such avast and significant place like Siem/Angkor. When we mail Chet with the list ofplaces we were planning to visit in Siem reap, he responded with a suitableitinerary with all the places under our consideration. His fees was nominal andwe booked 3 day trip with him around Siem reap. I would consider this was thebest decision of our trip. Chet was very knowledgeable and fabulous innarrating the historical events. He must have visited these a thousand times,but the interest and enthusiasm he had was fresh. His English fluency was goodand he has all the information needed to make a perfect tour around the place,whether it be best photo spots or avoiding crowd or historic context of theplace in relation to other places we had visited earlier. He made us to timetravel and realize how the place would have looked like or was being usedaround 1000 years ago. We were lost in time. He was very warm and friendly; thefact that he could strike a conversation with anyone displayed this, whether itbe ice cream vendor or other tour guide or children playing around. He was sopatient and helpful as well, I happened to miss my DSLR camera in one of therestaurants near Beng Mealea and only noticed it after two hours, Chet wasquick to trace the restaurant number and he got in touch with one of his guidefriend who was around the restaurant and had the camera delivered to our hotelin the evening. He educated us on Cambodia history right from pre-Angkorianperiod to current state – history, geography, economics to politics. He alsoeducated us on everyday life of Cambodians and problems they face, I did nothave much idea about Cambodia people before visiting the place, after hearingso much from him and witnessing myself a few, my respect for Cambodian’s hasgrown tremendously. He is an ambassador of Kingdom of Cambodia in a way. Knowing him personally was as fascinating as the temples he showed us. In thepast 6 years of travelling around South East Asia, I don’t remember anyone whoimpressed me so much like Chet.